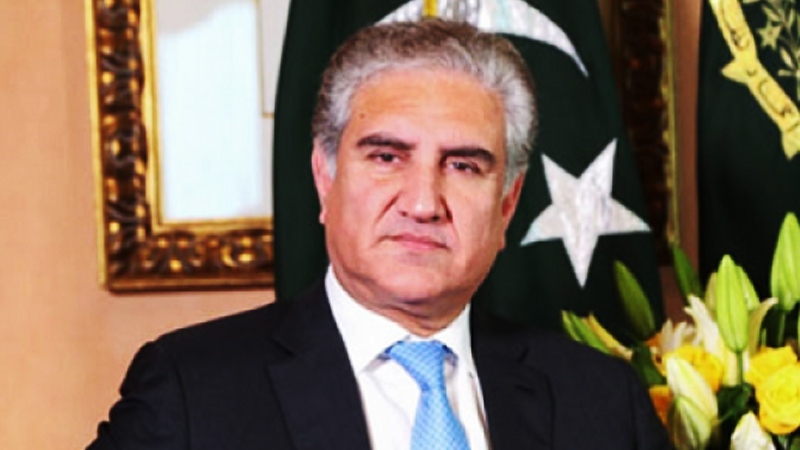 Foreign Minister Shah Mahmood Qureshi Friday said that rising trend of Islamophobia was a serious phenomenon which did not happen overnight, as he outlines a comprehensive global strategy to tackle the issue at an emergency meeting of the Organisation of Islamic Cooperation’s Council of Foreign Ministers in Istanbul. The meeting was called to discuss the causes, impacts and way forward in the aftermath of the New Zealand terror attacks targeting two mosques in Christchurch, in which 50 Muslims, including nine Pakistanis, were killed by a ‘white supremacist’ during Friday prayers last week. Foreign ministers from over 20 countries participated in the meeting, alongside representatives from international organisations, including the United Nations and the European Union and Organisation for Security and Co-operation in Europe. New Zealand’s Foreign Minister Winston Peters also attended the session. Talking to reporters following the conclusion of the session, Qureshi announced that a joint communique by all the members had been issued which contains six proposals – four of whom were put forth by Pakistan. “All four of our proposals received uniform acceptance and I would like to put these forward before you,” he said. “The first proposal is that the scope and definition of terrorism be broadened. And the imposition of sanctions should not be limited to entities such as Al Qaeda, Daesh, etc – though those are important in their own right – but those elements which reek of Islamophobia should also be included in the list of those sanctioned,” he said. ‘Our second proposal which came under discussion and was then accepted is that a special session of the United Nations General Assembly be held on the topic of Islamophobia,” he added. “The third proposal we put forth is that the OIC secretary general should play a role in the removal of content on social media that is linked to Islamophobia and should devise a strategy to deal with how it incites hatred and how it can be tackled immediately because such content is leading to extremism taking root,” he continued. “The fourth thing that was proposed is that a special rapporteur be appointed who monitors Islamophobia and presents recommendations on how to counter it,” he added. Earlier in his speech at the session, Foreign Minister Qureshi said the Christchurch attack has shed light on a number of alarming trends ? the mainstreaming of anti-Muslim sentiment by the rise of populist politics in many western countries; the undermining of a culture of respect and tolerance through narratives of exclusion and bigotry, and the implementation of anti-immigration policies by some in the west. He reminded the attendees that the attack is not an ‘isolated act of a lone maniac’. “What happened in New Zealand is a grim reminder of the tide of Islamophobia sweeping the world. Every bullet fired by the terrorist was an assault on the values of pluralism and diversity that underpin modern multicultural societies,” he stated. Qureshi explained that the acts are not restricted to western countries alone. “Pakistan’s eastern neighbour, a self-professed friend to many of those sitting around the table, prides itself in its democratic and secular credentials. In practice, it is anything,” he lamented, and discussed a systemic discrimination and the social, political and economic marginalisation and humiliation of the Muslims in India at the hands of ‘Hindutva brigades’. “Mob lynching of Muslims in the name of cow protection and attempts at Muslims’ forced conversions are commonplace, as indeed is violence against other minorities including Sikhs, Christians and Dalits,” he said. “In Indian-held Kashmir, extra-judicial killings, staged encounters, sexual harassment and use of pellet guns against unarmed protesters are a norm. Recently, an Indian court exonerated Hindu terrorists who had confessed to killing 68 people, mostly Muslims ? including 44 Pakistanis ? on a train in India,” he said. “There exists no United Nations architecture that can proscribe such individuals or address terrorism posed by Hindutva ideologues or white supremacists,” he pointed out. Proposing a comprehensive overhaul of the UN counter-terrorism listings framework that goes beyond al Qaeda to include terrorists of all colours. Creating a united front against Islamophobia by engaging not just governments but also civil societies, religious and community leaders, academia and the public at large, and countering ‘alternate facts’ by presenting real facts and creating support within western societies. Strengthening collaborative partnerships with social media platforms to prevent dissemination of anti-Islam content. Strengthening OIC’s own regimes to monitor and counter anti-Islam, anti-Muslim propaganda. Institutionalising mechanisms within OIC to report and safeguard rights of Muslim minorities. Continuing to root out hate, extremism and terrorism within our own ranks and in our own societies.